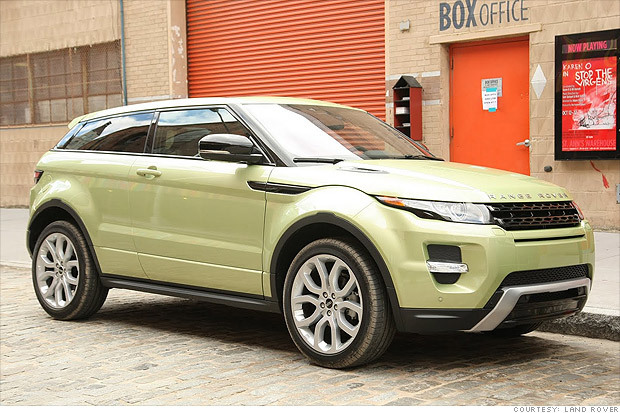 The Range Rover Evoque, from Land Rover, follows in the recent trend of companies making SUVs with more S (as in sport) and less U (as in utility). It's kind of a surprising move for Land Rover, Britain's SUV-only brand, which prides itself on real off-road capability even in its pricey $80,000 luxury vehicles. Hardly anyone -- at least in the in this country -- actually takes Land Rovers off-road. Would you spend that kind of money on something then take it anywhere near a rock? So, Land Rover made the Evoque, an SUV that's more comfortable in the concrete jungle than any Land Rover I've tried before. And, yes, it still goes off-road. I know, because I took it four-wheeling In Brooklyn, seriously.